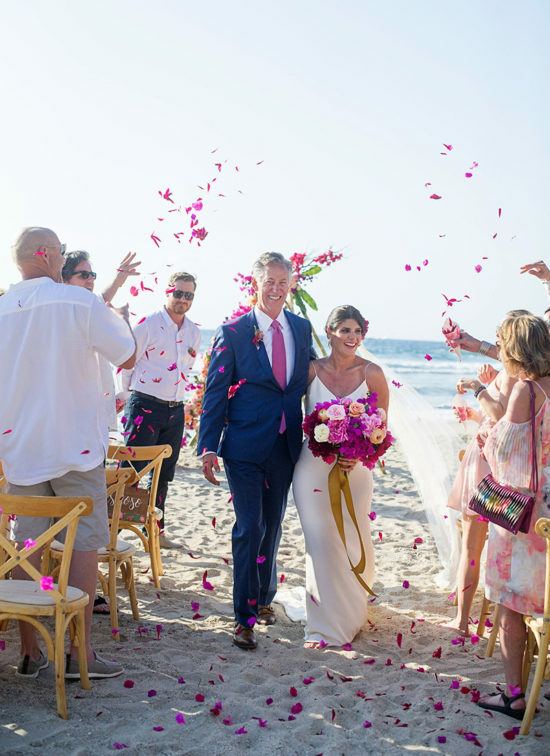 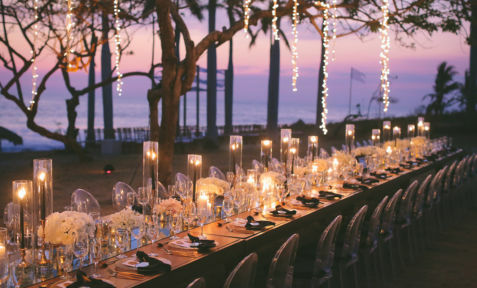 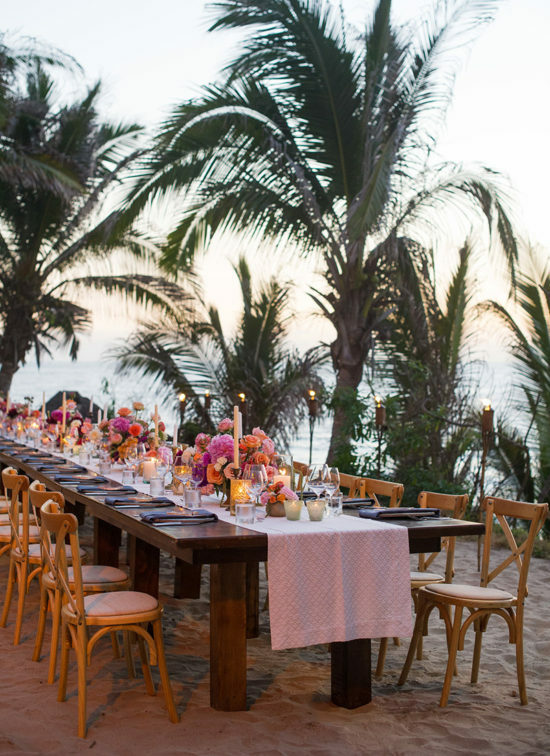 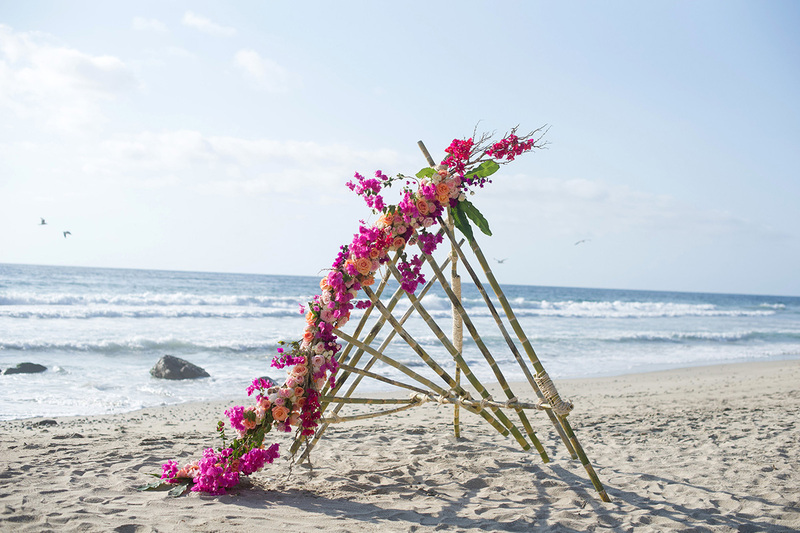 As featured in Destination I Do Magazine, Heather & Steve were married last summer surrounded by their closest family and friends on a quiet beach in Mexico! 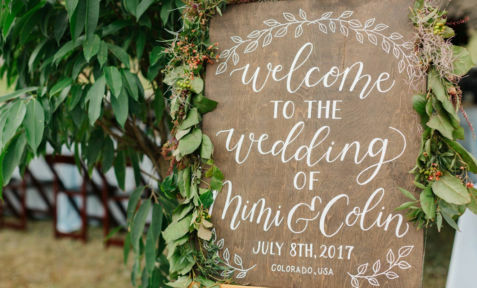 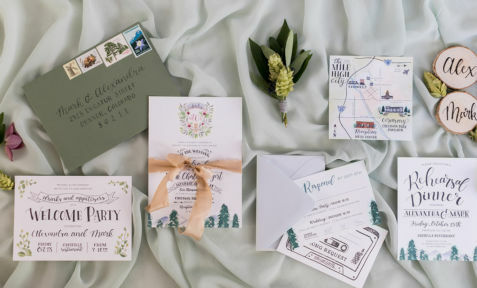 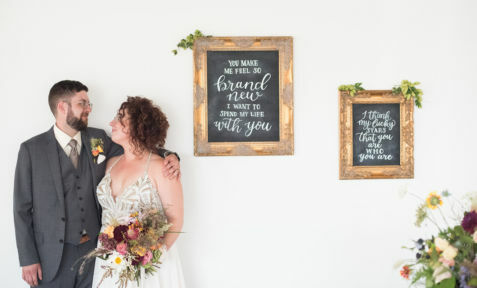 We only provided a few small items for their big day, but Christyn from We Tie the Knots put together such a gorgeous destination wedding that we just had to share these beautiful photos! 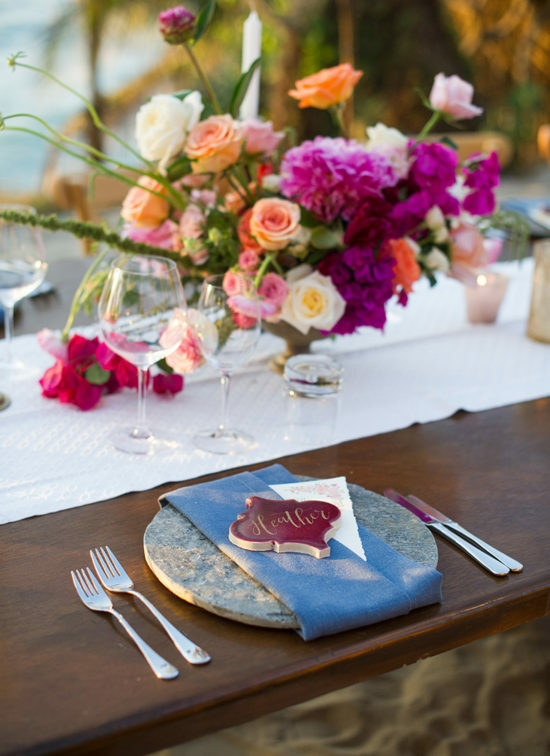 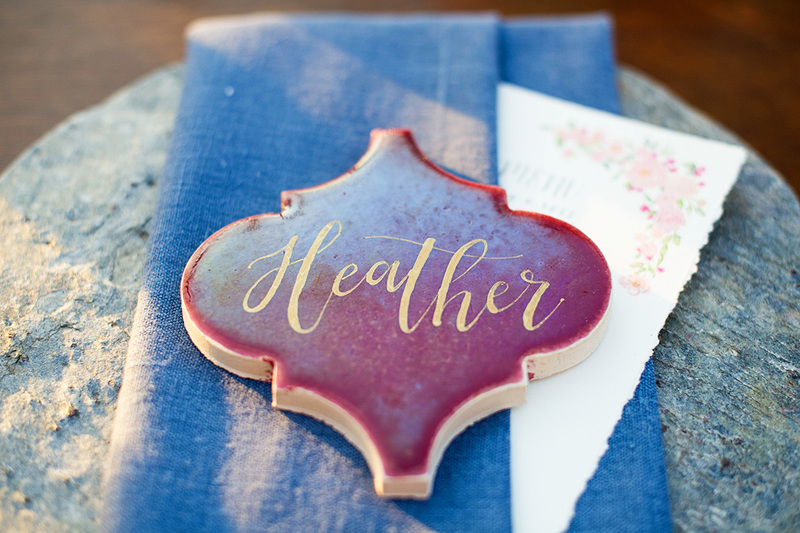 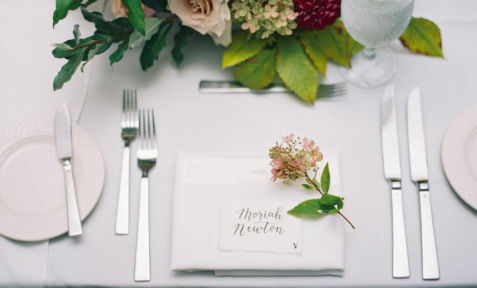 For their intimate Mexico destination wedding, we did the place card calligraphy on rich burgundy tiles that played into the rest of their vibrant, colorful tablescape. 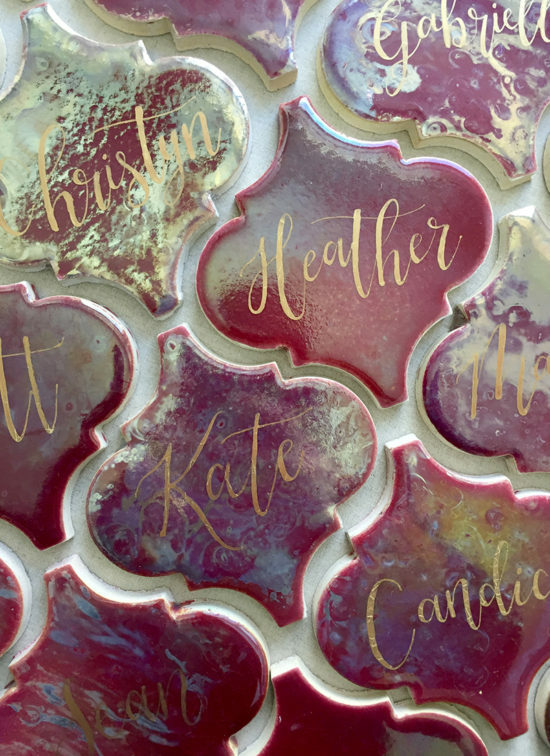 It is always so fun to calligraph on unique, non-paper surfaces and these were no exception! 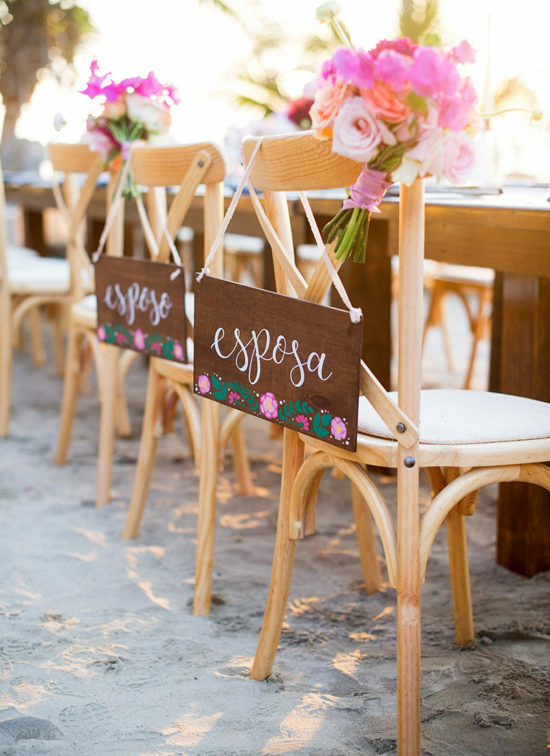 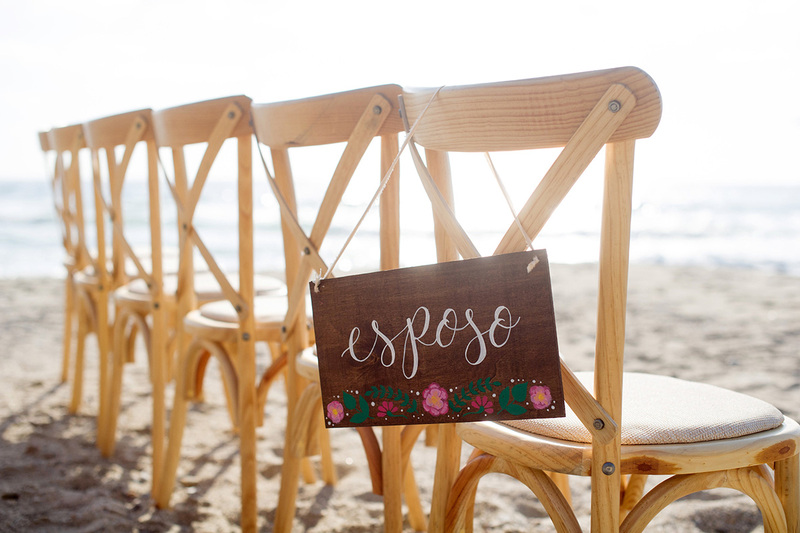 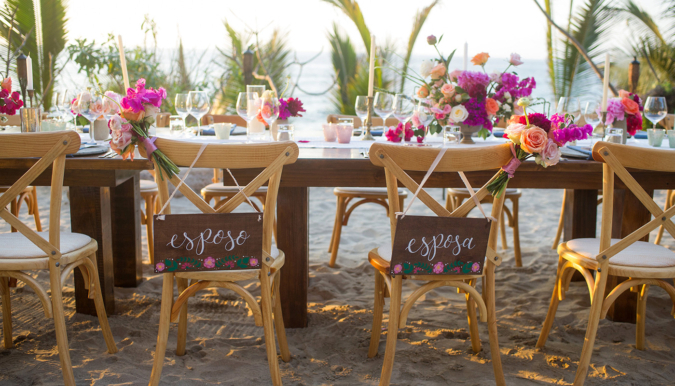 In addition to these pieces we also hand painted some fun chair back signs with colorful florals in a Mexican embroidery inspired pattern that read “Esposo” and “Esposa” or “Husband” and “Wife” in Spanish as a fun homage to their Mexican locale! 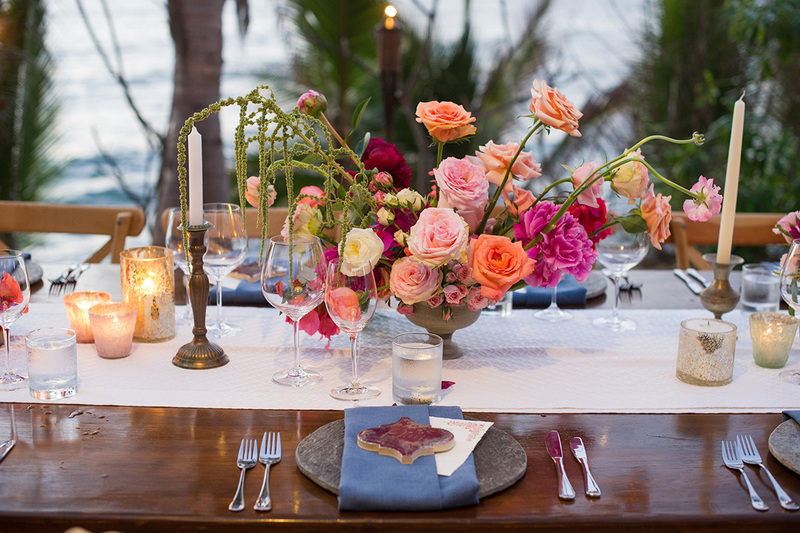 See more of this beautiful wedding in the Spring 2018 issue of Destination I Do Magazine.